LOS ANGELES — The Rev. 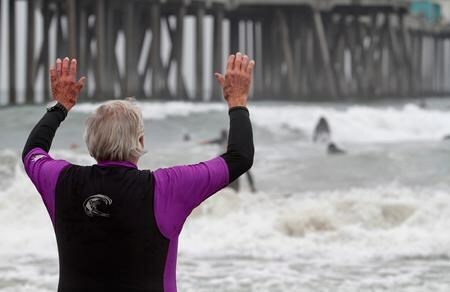 Christian Mondor, the "Surfing Padre" who wore a wetsuit under his clerical robe and presided over an annual Blessing of the Waves ceremony in the coastal Southern California town known as Surf City, died just two days before his 93rd birthday. Mondor died Wednesday after a bout with pneumonia, according to officials at Saints Simon and Jude Catholic Church in Huntington Beach, where he heard confessions and sang in the choir for nearly three decades. 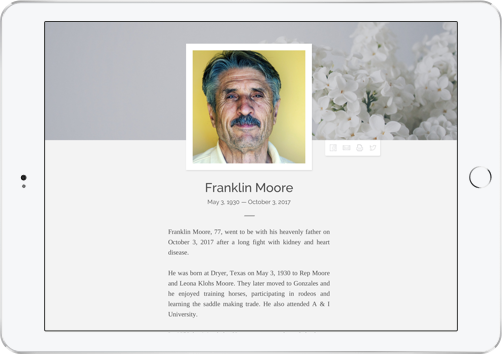 "He just loved life," his colleague the Rev. Ryan Thornton said Friday. 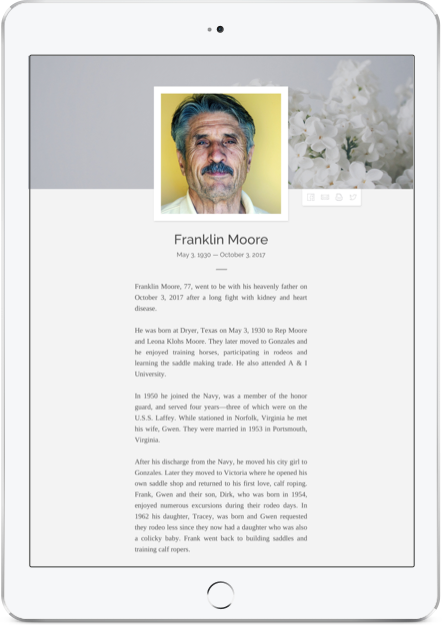 "The community was drawn to him because he had an extraordinary ability to connect with people." A competitive swimmer since he was a boy, Mondor only took up surfing in 1990 — when he was in his mid-60s — after joining the church just blocks from the shore about 40 miles (65 kilometres) south of Los Angeles. "He figured that if he lived near the beach, he better learn how to surf," Thornton said. Before long he earned the nickname the Surfing Priest and, later, the Surfing Padre. His fellow surfers would ask for his blessing before they paddled out in the mornings. Eventually Mondor started a yearly interfaith prayer service on the sand with a rabbi and other religious leaders. It became known as the Blessing of the Waves and drew thousands of people. Mondor said the event was to honour St. Francis of Assisi, the patron saint of the environment. Recent gatherings included representatives from the Catholic, Jewish, Mormon, Islamic and Zoroastrian faiths. After presiding over the blessing, Mondor shed his robe and grabbed his board to join a crowd of surfers in the water. "We find that the ocean can bring people of all faiths together," Mondor told The Associated Press in 2010. "And since this is Surf City USA, it's the perfect place to gather." In 2013 Mondor was honoured with a star on Huntington Beach's Surfing Walk of Fame. During his nearly 70-year career, Mondor worked as a priest and teacher across his home state of California, as well as in Oregon and Canada. He is survived by his sister and "many nieces and nephews," Thornton said. A memorial is planned at Saints Simon and Jude church and the surfing community will organize a ceremonial paddle-out in Mondor's memory, he said.